Squatters appeal to government to settle them – Kenyatta University TV (KUTV). All Rights Reserved. 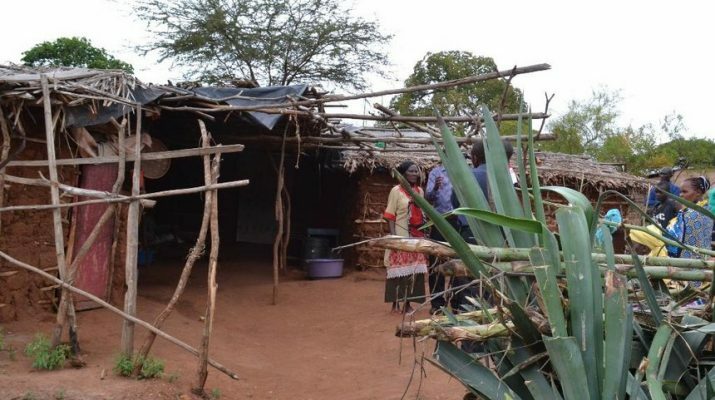 Squatters in the oldest village in Naivasha have now appealed to the Ministry of Land and Nakuru County government to resettle them after sixty years of waiting. The residents of Mithuri estate which is located along the Nairobi-Nakuru highway lashed out at the past governments for their continued suffering in the makeshift houses. This came as details emerged that the estate had some of the highest cases of early pregnancies while the elderly had been neglected by their siblings mainly due to poverty. This emerged when a group of worshippers drawn from AGAPE prayer group visited the elderly in the estate and donated food stuff and clothing. According to one of the granny Rachel Wambui, the estate was always remembered during campaigns and later forgotten by politicians. She said that some of the elderly were Mau Mau war veterans but the State had forgotten them as they continued to languish in poverty. “We are asking the national and county governments to come to our aid and resettle us as we have waited for tens of years under harsh circumstances,” she said. Another granny Jane Wamuyu told of the high levels of unemployment mainly among the youths and early pregnancies in the village. She said that primary school girls were getting impregnated by the month as they sought food for their aging grandparents and parents. “The best Christmas gift that the President can give these poor grannies is resettling them and ending their suffering in these falling houses,” she said. Pastor Samuel Karanja from AGAPE group expressed his concern over the high number of elderly persons who had been neglected in the town. He called on well-wishers to come out and support the poor families during the festive season noting that many were sleeping hungry. Karanja at the same time said that there was urgent need from the government and other stakeholders to address the high number of unemployment cases in the village. “This village has tens of challenges and the major ones are high levels of poverty, unemployment and early pregnancies among school going girls,” he said. Another member of the prayer group Alice Njeri called on members of the public to remember the less fortunate and help them with food and clothes. “As we head to Christmas let’s remember that some families are sleeping hungry and the only way we can help is by sharing the little that we have,” she said.